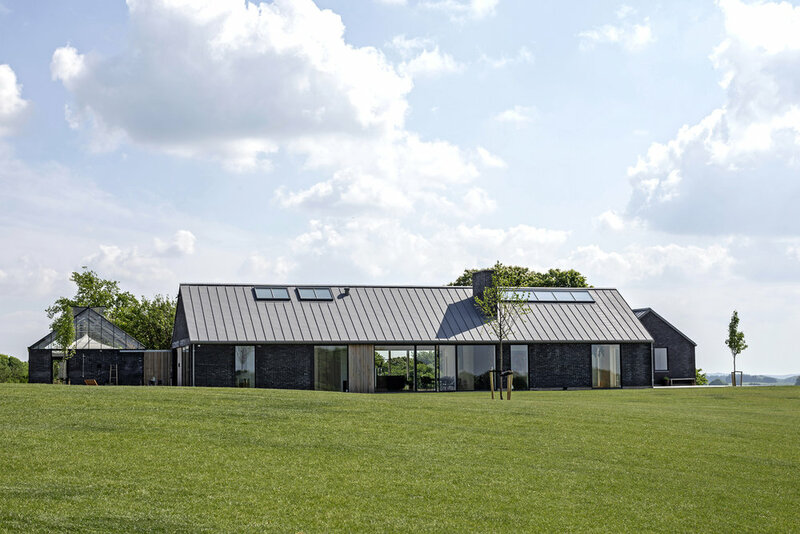 In a scenic area of the town Rye in central Denmark lies this modern country retreat designed by Danish architects Baks Arkitekter, led by Rasmus Bak. This house offer magnificent views over the gentle countryside that Denmark are so well known for. The building consists of three lengths - the main house, an orangery as well as a garage. All three of them are designed to relate to the surrounding landscape with its materials in subdued earthy tones. The large windows allows plenty of natural light to enter the home whilst letting nature being part of the aesthetic of the design. Who would not want to have their morning coffee whilst soaking up these fantastic views!? The orangery part of this home cleverly brings a slice of nature to take place inside, as well as having the full views of the landscapes outside in a cosy and sociable living area. 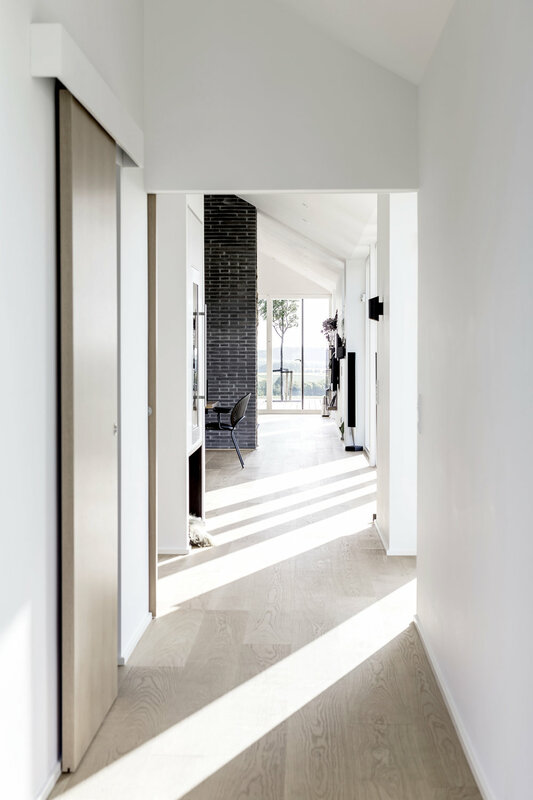 Wonderful Nordic interiors that feels calm and uninterrupted, beautifully engages in this home. We love the black brick wall that divides the room settings. The outdoors shower adds a rustic and charming feel - the mix of modern and classic elements of this home is so well balanced.